Hey, that is unexpected. 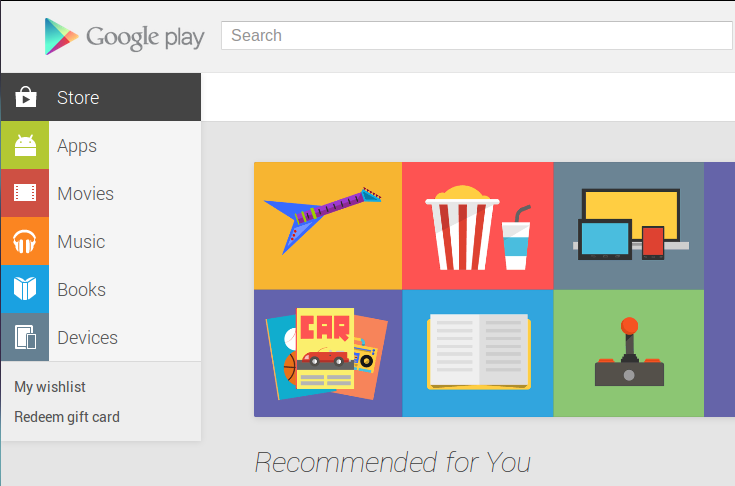 This morning, you'll find a new design in the Google Play Store. It's the same design style than Google+ and other new changes have. It's a logical step and Google will apparently transfer every service to the new design. Some people complaining about a slower experience. I'll guess that the site is optimized for Chrome. Lately using Google-sites with Firefox getting slower and slower. The design is modern and functional. Looks like that's the new way Google is heading.